Are you tired of hearing the default Windows sound scheme on your PC? SoundPackager enables you to instantly change the default sounds with high quality and cohesive sound packages. 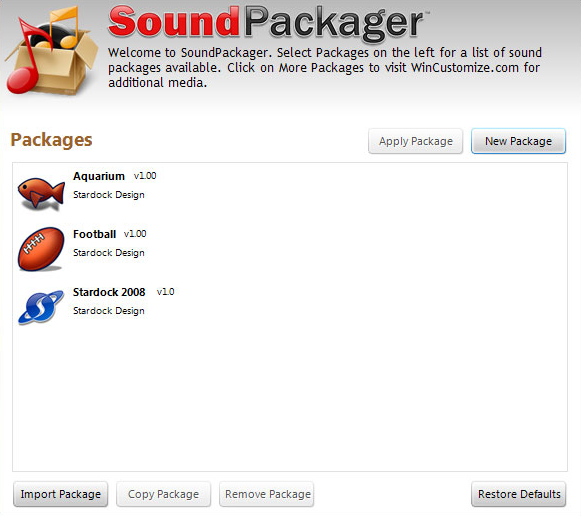 SoundPackager comes pre-loaded with several premium sound packages that you can apply to your PC with just one click. 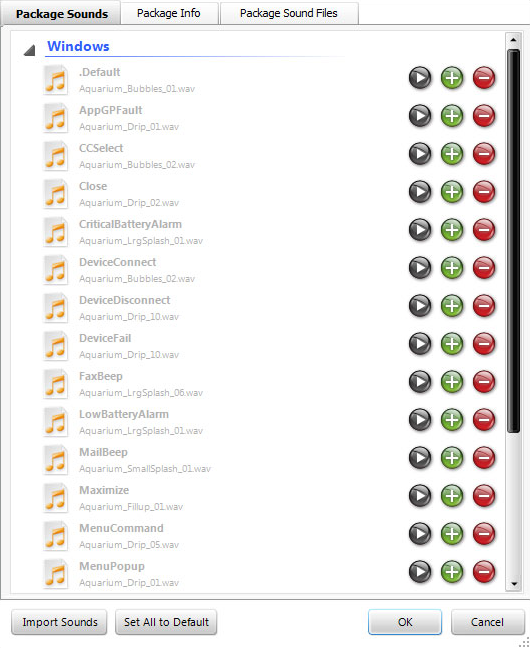 Without SoundPackager you would have to download sounds one at a time and match them to Windows events individually. The sound package editor enables you to customize the sound events associated with your PC. You can even mix and match sounds from different sound packages to create something unique. Easily save your sound packages for quick access later.